Freelance makeup artists are just like everybody else in that they are also embracing the digital world. 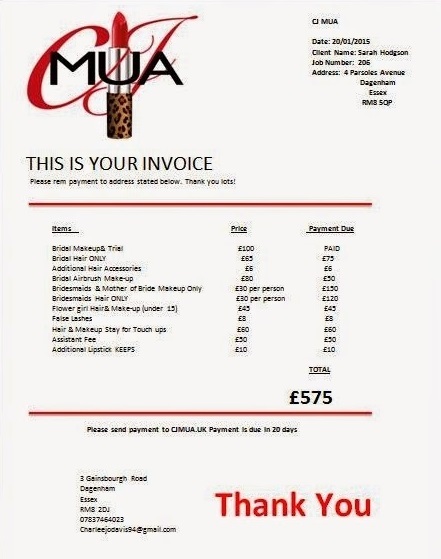 To this end, you will find them preparing and sending makeup artist invoices online too. The shift from traditional invoicing to the digital one has been welcomed in this industry just like in others. However, some freelance makeup artists haven’t embraced this technology too. In this article, the latter group will learn about the benefits that they are not enjoying yet. Why should they accept online invoice? In the past, especially for those who believed that traditional invoicing was the only solution, makeup artists had to be present in the office to enter any kind of data on their invoices. This could be quite problematic for freelancers who had to travel all over the world while serving clients. However, e-invoicing or online makeup artist invoice has changed all that. Now, you can enter data from anywhere, which is a huge convenience to you. Leverage all your mobile devices and integrate the data into your system to benefit from this. In addition to that, the fact that you can reduce the time it takes to prepare and send invoices is great news to your cash flow. In the past, you would have to wait several days or weeks before clients get your invoice and pay you. Today, all that has changed. What is more, the fact that freelancers can prepare and send invoices right from their mobile devices has hastened the whole process too. Improved cash flow is great news for your freelance business. Another advantage of online makeup artist invoice is its ability to improve the freelancer’s productivity. A web-based system is ideal for the freelance makeup artist’s invoicing needs. Why? The whole process is automated. Therefore, you don’t have to spend more time than you can afford to ascertain if the data is accurate or confirm that the invoices have gone out to the respective clients. Essentially, this allows you to focus on more important tasks. Globally, the rallying call for embracing green world and technology has gone several notches higher. Because of this, makeup artists have to follow suit. One way of doing that is by embracing something that – on the surface, at least – looks quite mundane yet remains one of the most powerful tools; digital makeup artist invoice. This way, freelancers also avoid damaging the environment with paper invoices strewn all over the place. Almost all digital solutions that freelance makeup artists use are cost-effective. For example, you never have to return to the printer to order a new set of paper invoices, which can be a daunting task if your cash flow is a bit problematic. In this regard, your finances will be in a much healthier condition the more you embrace and use these digital alternatives. You will save money that you can then redirect into other aspects of your freelancing business. A digital invoice is one way of making your freelance business more eco-friendly. The benefits of automation should be enough to convince freelance makeup artists to embrace digital invoices. In fact, all makeup artists should make automation their best friend. This way, they will save more time. More importantly, they will be able to dedicate most of their time to get new clients, serving the ones they have better, or improving their skills and keeping pace with the new developments in the industry. 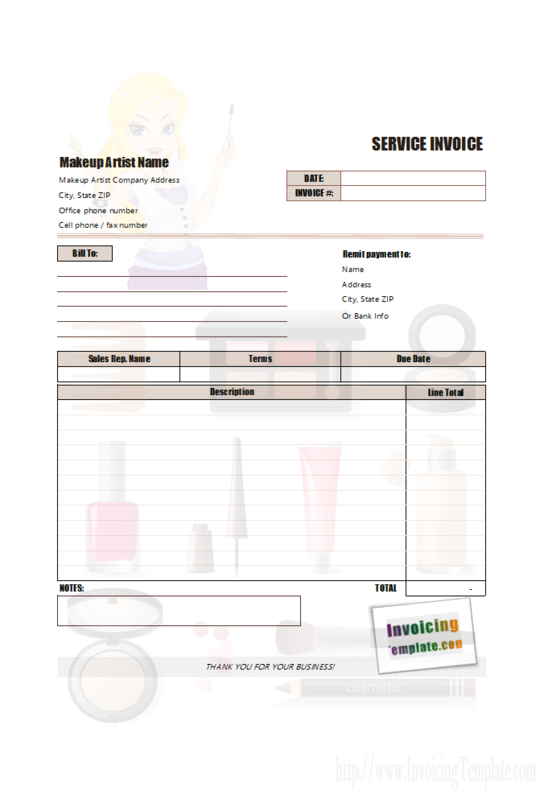 Therefore, use electronic makeup artist invoice to take your freelancing to the next level.